How Private Is a Florida Trust? 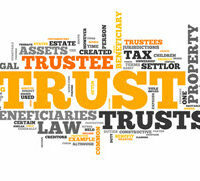 There are many reasons that Florida residents choose to create a living trust as part of their estate plan. One commonly cited motive is the desire to keep their affairs private. But just how private is a Florida trust? Compared to a traditional last will and testament, a well-drafted trust offers significant privacy advantages. The main reason for this is the Florida probate system. When a person dies, whoever has custody of the will must “deposit” or file the document with the appropriate Florida circuit court clerk within 10 days. This is not optional. Although you are free to keep your will private as long as you are still alive, once you die the will must become a matter of public record. But not so with a trust. In general, a trust does not have to be deposited, filed, or recorded with any government body following the settlor’s death. Assets held by the trust do not go through the probate process, meaning their value and disposition do not become public record. Now there is a critical exception to the general rule. If a trust owns real property–e.g., houses, condos, or land–then obviously, there must be public deeds documenting the title. This includes a record of any transfers made after the settlor’s death, that is from the trust to the beneficiaries named in the trust instrument. So anyone who bothers to do a little research can easily find out what real estate a trust owns or owned. There are also situations where it may be necessary to “prove” the existence of a trust to a third party, such as the office that records deeds or a bank that requires documentation before changing ownership of an account. In these cases you do not need to actually provide a copy of the full trust instrument. Instead, you can file a Certification of Trust–also sometimes referred to as an Abstract of Trust–with the appropriate party. A Certification is basically a short summary of the key data regarding a trust, such as the names of the settlor and the trustees and the date of the trust’s creation, but need not contain detailed financial or beneficiary information. In other words, you need to disclose the identity of the trust, but not its contents. Something else to keep in mind. Once you die your living trust becomes legally irrevocable, and the trustee is legally obligated to keep the beneficiaries of the trust reasonably informed about the trust’s activities. Among other things, this means the trustee must give a “qualified beneficiary” a “complete copy of the trust instrument” upon request. And if for some reason there is litigation involving the trust–say a beneficiary or family member contests its validity–there is a chance the trust’s terms may become public knowledge. But even with these caveats, a trust can still help protect the financial privacy of you and your family. If you are interested in learning more about the benefits of creating a trust from a qualified Fort Myers estate planning attorney, call the Kuhn Law Firm, P.A., today at 239-333-4529.